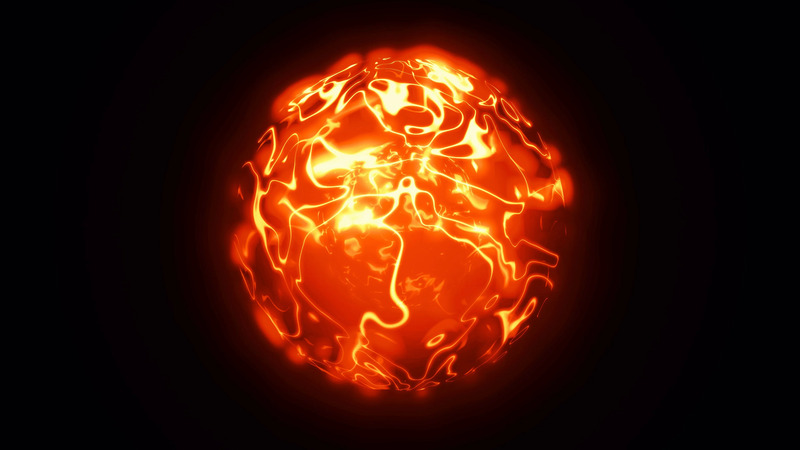 Description: 3d animation of abstract isolated red and orange fire magical orb. Burning sphere with plasma ring on black background. Magic and power concept object. Shiny colorful VFX design element loop in 4K.